Because fo construnctions along “Superstrada Pedemontana Veneta” that will last for awhile, cycle route is not interrupted but should be considered pretty dangerous. 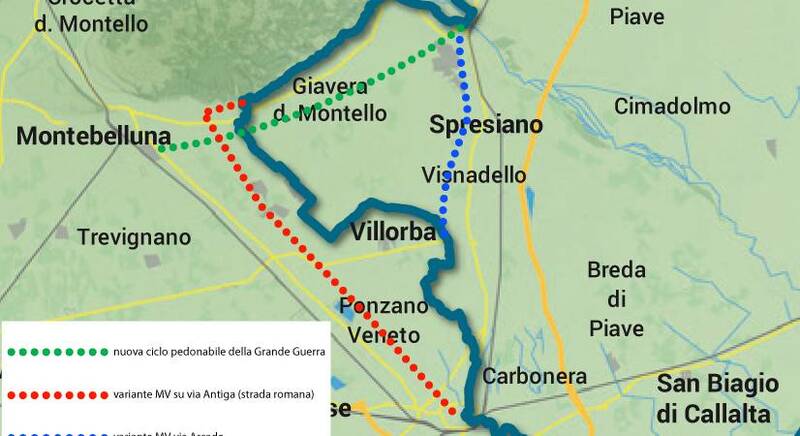 Some possible alternatives are suggested to reach Treviso. More easily is riding following Volpago and go down Via Mmartignago and then Via Brenta.